In their latest blog, the Cheque & Credit Clearing Company, a wholly owned subsidiary of the new home for UK retail payments, the NPSO, looks at how Clydesdale Bank’s cheque imaging technology is bringing huge benefits to the bank’s customers. Stuart McKinnon, Senior Development Manager at Clydesdale & Yorkshire Bank Group (CYBG) reflects on cheque imaging as being one of the highlights of his career with the bank and the major benefits that cheque imaging and remote deposit capture offers to its customers. The start of the phased roll-out of the image-based cheque clearing system that speeds up cheque processing significantly for all bank customers across the UK began on 30th October 2017. 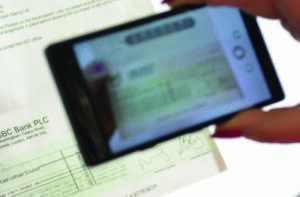 According to the Cheque & Credit Clearing Company, initially, the volume of cheques going through the new system has been small and the vast majority of customers have not noticed any change to how quickly their cheques have cleared. However, during this year (2018), increasing numbers of cheques will be cleared using the new system and more and more customers will benefit from the faster timescale. Eventually, at some stage in the second half of 2018, all of the UK’s banks and building societies will clear all cheques via the Image Clearing System to the faster timescale. The TALL Group have been leading suppliers of cheque scanning equipment and offering cheque scanner fulfilment programmes to the financial sector in order to meet these timescales. Read more at our dedicated Remote Deposit Capture website.